Las Galeras Restaurant Guide : Find the Best Restaurants & Bars in Las Galeras Dominican Republic. 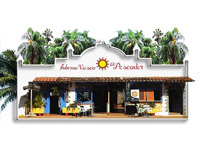 Where to Eat, Breakfast, Lunch, Dinner in Las Galeras DR. 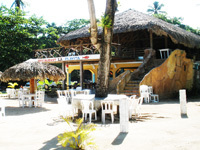 The secluded village of Las galeras offers an excellent choice of International Restaurants. 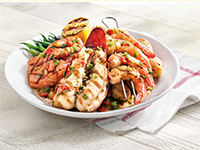 Las Galeras has one of the best selection of restaurants on the whole Samana Peninsula. of fine restaurants ranging from French cuisine to Italian home made pizzas to Spanish paellas to Caribbean seafood specialties. You will also find a good choice of small bars with outdoor terraces with free Wifi. Description of your business in about 40 words + LINK to your website or web pages.